A funny thing happens when you start recording your thoughts and recipes on Internetland- people start asking you questions. I don’t think I even considered opening a special email account for In Katrina’s Kitchen until a few months into this entire process. Since then checking and responding to your emails has become part of my responsibilities here. Who knew that blogging would involve real life problem solving and big words like responsibility? I figured since I get many emails asking how to halve or double a recipe that involves baking with partial eggs that I would put my Teacher Voice to use and lay it out here for you. Plus I have this nifty little scale from BigKitchen .com to give to one of you so this is going to work out well for us all. In this example I only need 1/2 an egg for my recipe. Crack your egg and whisk to combine the egg and yolk. Remove the partial amount that you need. One large egg weighs between 40 and 50 grams. I have been measuring eggs like this for halved recipes since I was a young girl. You can also measure by volume. One large egg generally contains 3 Tablespoons (1 T of yolk, and 2 T of whites). If you don’t have a food scale handy you can whisk your egg and measure out 1 1/2 Tablespoons if you need half of an egg. I don't need a new kitchen scale, but this is a great post. I used to wonder how to do half recipes for things that took odd numbers of eggs. I learned this a while back, but it's very helpful! Carolyn- am I not getting your posts in my Reader? Maybe I need to resubscribe? I often use my kitchen scale for dividing portions of dough for rolls, pizzas, etc. so that they come out the same size. Thanks for the giveaway! A kitchen scale really is the next thing I want in my kitchen, fingers crossed!! I love how thin this one is, doesn't take up a lot of room in a small kitchen! A scale has been on my kitchen wishlist for awhile now, so I would really enjoy this! Thanks for the giveaway! I want a professional quality espresso machine in my kitchen but hey…a girl has to dream! Realistically…I'd like a mini cupcake tin and a scale. 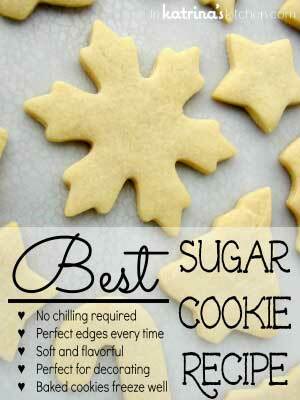 I checked out the Big Kitchen website and they have A LOT of neat tools! I think the slotted chicken leg griller is great! Would love that! Supersmart! I never thought to weigh them! I've been looking for a new kitchen scale for a while! this would be perfect! I would love a nice coffee maker! I am hoping you meant to say that one large egg weighs 40 to 50 grams, not ounces. I have noticed that "large" eggs have become smaller recently. Back in the day a large egg was more like 60 grams, and was supposed to weigh an average of 2 ounces. Most recipes still assume a 2 ounce egg, which is 1/4 cup, making a half egg 1/8 cup, or 2 tablespoons. YMMV. Two things I'd like for the kitchen right now and one of them happens to be a scale just like this, the other, a blender that actually works! My kitchen dreams are TOO BIG to fit on this comment section. But starting small I want a gas double oven . Sorry for the double comments BUT … I am sharing your giveaway on my FAN page not my personal. 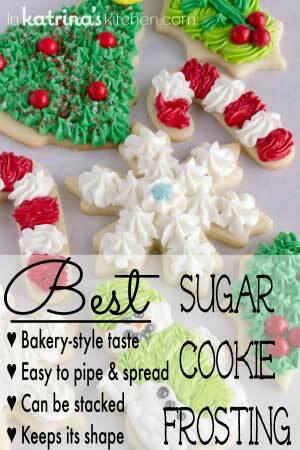 So instead of sharing it on Nicole Burris I am sharing it on Sugar and Stitches FB page. My recent post We will miss them! My kitchen wish is a meat grinder attachment for my kitchenaid. Just for the record, I would like it known that I have never halved a recipe. Doubled? Why, yes! My very own Kitchen Aid mixer. The one I use now is borrowed, from a friend, that his house was on fire and the KA survived. Kind of. It doesn't knead. I kid you not! I never have owned a kitchen scale before and I desperately need one!! This had to be the best blog I have seen in forever. Also love the information. I need a scale and a new stand mixer. I've been wanting a kitchen scale for a while to weigh ingredients for baking. What a great idea to weigh your eggs! I love all of your helpful tips! I would love to have this scale as mine is so old & worn out. Thanks for all you do! I would to win this scale! 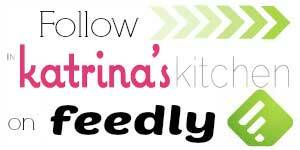 Love your recipes and tips. But my absolute dream would be a gas stove with double oven. Okay really? All I really want is just the double ovens but it comes with a stove top and my husband wants the gas stove so I figure if he gets the gas stove I deserve the double ovens right? But smaller appliance dream would be a new Kitchenaid, mine is almost 20 and is starting to act up. I'd love a slipat for baking! Thanks for this giveaway! 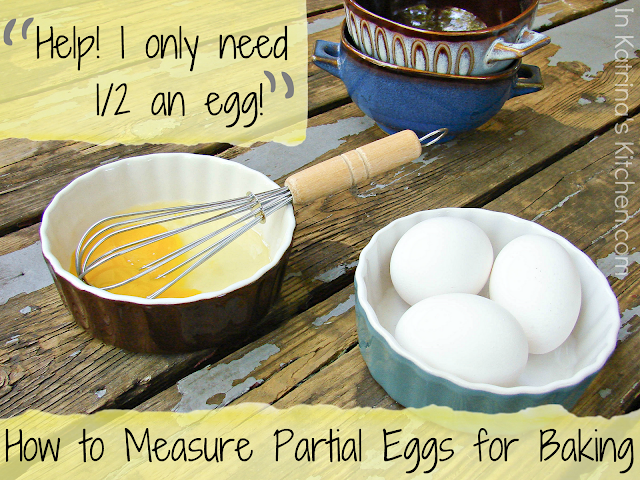 I've used a scale for batter, but never thought about it for eggs. Great tip! I do not own a kitchen scale, so that is on my wish list! In addition to the kitchen scale, I could definitely use a food processor. "One large egg weighs between 40 and 50 ounces." Some chicken! I have been doing this with eggs and other odd measurements forever, but so many people don't know. Great job with the tutorial! I don't need to be entered, I don't need a new kitchen scale. my kitchen wish is a le creuset french oven. A girl can dream. THank you for the answer to that question! I was just trying to figure it out for a recipe I am halving! I need a new mixer. Mine is starting to die. Katrina, darling! I'm glad to see you're still my baking hero. Now you're schooling me on some essential knowledge. Yay! Handy tip and a sleek looking scale! I would love to have the citrus juicer press! Very cute post! I love how it is informative and presented in an eye-appealing way. I don't have a kitchen scale but would love to have one! I would love this kitchen scale, awesome giveaway, thanks!! Oh Dear! You are so right- thank you for catching that. I made a quick edit 🙂 And good point about recipes; I never thought about that! Can you believe I don't have a kitchen scale? Keepin my fingers crossed! Love the tip on the egg!! awesome tip! I have been doing the super scientific way of just eyeballing or omitting the additional half egg and praying it turns out 🙂 My wish would be for a cast iron skillet, my hubby is always nagging me to get one so i can make him upside down pineapple cake in it! I would love a kitchen scale. And a kitchen aid mixer (but my kitchen is wayyyy too small). I love all things cooking/baking, but since I have started baking more I have realized how important proper measurements are: making the kitchen scale the perfect wish list item. My kitchen wish is an ice cream maker, a dual-sided griddle/grill pan, a new coffee burr grinder… and that awesome scale. I want a waffle maker, in particular the Waring Pro Brushed Stainless Steel Turnstyle Waffle Maker. I have two wishes – a toaster oven and a new kitchen scale. Yes, seriously – a scale. The one I have right now only weighs up to a pound and has a tiny cup. Baking bread with it is fun! Thanks for the great tip about 1/2 an egg! I would love the scale, it looks so handy! That's what i would love to have! I'd love a food processor in addition to the food scale. 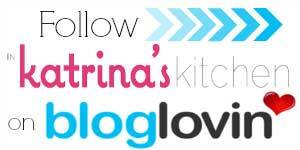 Great post and I'm happy to see you went through with the Big Kitchen giveaway! PS: I've been dying for a scale. Pick me! I don't need a scale but I wanted to stop by and tell you what an awesome post this is! I would've never thought to weight it. I just eyeball it, which probably isn't the way to go. I would love to have the Outset Copper Nonstick Grill Skillet with Removable Soft-Grip Handle. Perfect for summer grilling! the scale would be awesome. I think I would like a really good, really big assortment of utensils you can use with teflon material. not so long that they flip out of the pan (been there, done that! ), and not so thin that they melt if you keep it in the pan (been there, done that!). I don't have a kitchen scale at the moment, but sure would love one! As far as my kitchen wish, I'd love a good waffle iron! I do not own a kitchen scale so i think either way I will get one ^_^ But it would be awesome to win one! Love this post btw thee had been a few times where I didn't want to make 24 cupcaes! Katrina, I would love a new scale! I too have been measuring my half eggs for quite some time now. I can't count how many times I have needed this info! Thanks for sharing! 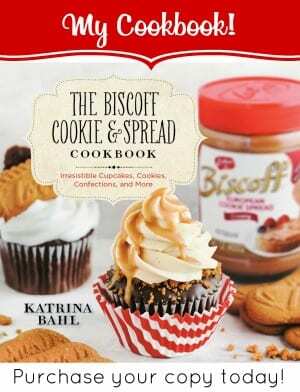 Such a great giveaway, Katrina! Love the tip about 1/2 an egg too. Very useful! They have a great selection! I'm eyeing the Cuisinart Griddler. I want a Kitchen Aid mixer!!! My wife needs a KitchenAid Mixer!